The cutter is a Class one lever. In this simple machine the fulcrum is located between the load and the effort. Here the point where the cutter grips is the load(A), the effort s at the handles(C), the nut where the cutter moves is the fulcrum(C). When a force is applied at point C , the direction of force is changed by the fulcrum, oth the hands of the cutter exert force at once in opposite direction and towards each other. Anything between the load point (A) experiences this force and gets chopped off. 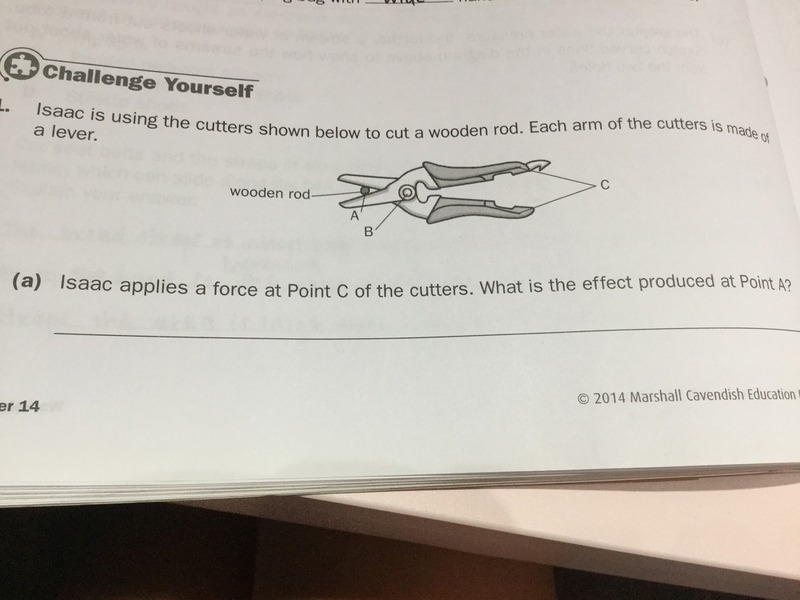 In Simple words if force is applied at C , the object at A will experience the force and the blades will cut off the wood log.